Is this so-called nation of immigrants full? Is there no room for more immigrants? And, if so, what would be the consequences of us being so full that we’d have to cut off new arrivals? The questions arise because President Donald Trump, who ran on and was elected on immigration-unfriendly policies such as a wall across the southern border, said “our country is full,” according to a Fox News interview. Obviously, one look at New Mexico, Arizona, Montana, Wyoming and large swaths of Texas should dispel the notion that there is no more room for new arrivals. But Trump’s attitude toward immigration and its effect on policy are real. So we asked economics and business professors to address the issue from their academic perspectives. 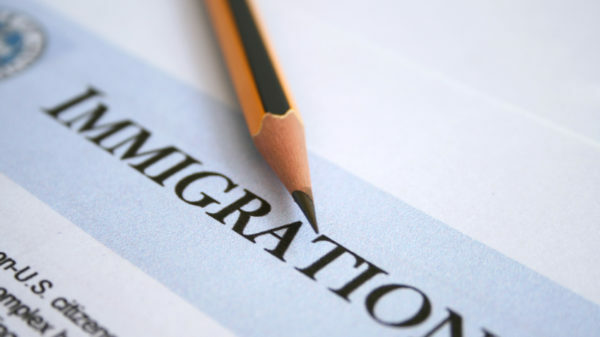 The research on immigration shows that in general immigration is good for the economy. I am not aware of any research showing that ending immigration would be a good idea. Of course, immigration works best if there is a plan to let people into the country who can be gainfully employed. Research shows that in general, people who immigrate here do work, and are less likely to get into trouble with the law than citizens. However, I do not think anyone suggests that completely open borders would work well either. Nevertheless, if the choice is between open borders and completely closed borders, then open ones would be a better idea for the economy. But the choice between these extremes is a false choice and some sort of reasonable immigration policy involving giving more people a chance to become citizens and trying to make more order out of the current chaos would be best for the economy. Is the country full? No of course it isn’t. Have you tried flying over it lately? I read somewhere that if you put the entire U.S. population in one circle with the rough density of a Midwestern town, the circle would have a diameter of only about 150 miles. Don’t quote me on that, but still. The population density of Singapore is about 18,600 per square mile. That of the United States per square mile is just over 92; for Texas, the number is 96. Net immigration brings people, economic activity, jobs and taxes; businesses flourish where the population is growing and they suffer where it is not. Population growth is why Texas is doing well and, say, Maine is not. And do more people bring more unemployment? On the contrary: the jobless rate in Texas is just 3.8 percent. In stagnant West Virginia, it’s 5.2 percent. To be sure, Trump’s administration dislikes meeting our legal obligation to receive asylum-seekers. Especially when they come from Honduras, Guatemala and El Salvador, where US policy is no small cause of the crises that drive people out. But asylum-seekers and refugees number only between 50,000 and 100,000 per year, numbers we could absorb in Texas alone, where since 2010 we’ve been gaining a half-million or so new people every single year. A version of this appeared in the Corpus Christi Caller Times.